Barrow Neurological Institute is dramatically increasing the number of clinical trials related to Alzheimer’s disease and other forms of dementia. Today, the Institute, located at Dignity Health St. Joseph’s Hospital and Medical Center, is participating in 20 wide-ranging studies. According to Dr. Sabbagh, the program’s studies are in different phases and approximately a dozen of them are currently enrolling new patients. He said the studies range from prevention, to imaging research, to drug therapies for different types and stages of dementia. Dementia is the general term for loss of memory that is severe enough to affect a person’s life. Alzheimer’s disease is by far the most common form. About 5.4 million people in the United States are living with the disease. As one of the top 10 causes of death, it is the only disease that currently cannot be prevented, cured, or even slowed. 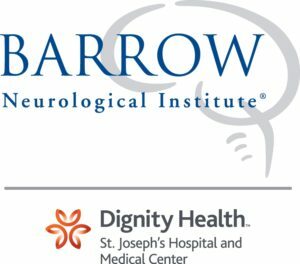 Dr. Sabbagh said Barrow is also one of three sites in North America for a clinical trial that is testing a vaccine for Alzheimer’s prevention in people with Down syndrome. More than 75 percent of people with Down syndrome aged 65 and older have Alzheimer’s disease. That’s nearly six times the percentage of people in this age group who do not have Down syndrome. Additionally, Barrow is offering clinical trials for people with mild cognitive impairment, which is the pre-dementia state of Alzheimer’s. The drug therapy trials are aimed at finding a treatment that can delay the progression of Alzheimer’s disease. Dr. Sabbagh noted that not all of the studies at Barrow are treatment trials. In another research project, scientists are trying to determine the value of PET scans in diagnosing Alzheimer’s disease and other dementias. An earlier, more certain diagnosis could translate into earlier counseling and interventions, ultimately improving patient outcomes. Individuals wishing to participate or learn more about the Barrow trials should call: 800-392-2222.